When a parent or partner leaves a comfort zone of a monthly salary for a risky business, or any kind of venture, it makes perfect sense (read cents) to have her family financially covered. I actually don’t even see any comfort or lowered risk in a job anymore. So many people lost their jobs and fell back on “nothing”. There are no guarantees in the corporate world anymore. One has to keep open eyes and ears to see when things are not looking OK in their jobs, and act accordingly. I started by thinking backwards with a keywords “Retirement” and “Death”. The reality is that, we are heading there, and it’s a fact. I upped my life insurance policy to clear all my debts and leave my kids with enough money to take them through college education in the case of me not being there. I took an equally good amount in disability income policy to reduce the risk of the loss of income. Some of that risk is in the employer’s shoulders, when one has a formal job, but in my case it’s all on my shoulders. I actually took a funeral/ burial cover just because I won’t leave anything to chance. I took an investment earlier on in my life, which matures on the college years of my kids. I just had to do that. My husband still kept a formal job to cater for our other needs, and especially our medical insurance needs, which we cannot be without. Of all the 5 steps I took, I can say taking a great life insurance policy was the most important for me. I am planning to take a few insurance policies to reduce the risks of real estate vacancies, missed payments and to access money in case of emergencies. 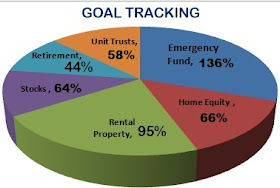 I notice that there are a lot more steps to take on retirement plans for self employed individuals that the formally employed with the employer's contribution to the 401k (pension fund). Working hard and cutting on your luxuries is actually the top of the list. I am quite embarrassed to state that, that has proved not to be my strength. But I buy less and less of stilettos and suits as I tend to work more on my pajamas and leggings. I especially love the soft cotton tracksuits and yoga outfits. I can say this with a smile, “being at home with my special needs daughter” is worth the risk. It will be different with each investor or business person. I love working from home. Its riskier, scary and requires a lot more prayer. But I see healthier emotional and parenting returns. And the contentment of working on my passion is immeasurable. The bottom line is – You have to be ready and pray as much. Life is a war.